With proper tax planning and a little bit of organization, tax time won’t be something you fear anymore. 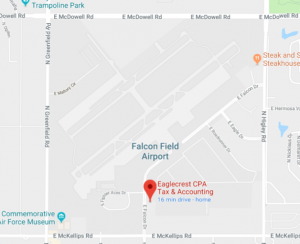 Leave your taxes to the experts at Eaglecrest CPA Accounting & Tax. We will put our experience to work for you so you can focus on more important things, your life and your business. We have tax clients from all walks of life. Our clientele ranges from students to working professionals and business owners. Give us a call now to get started.